Maureen Elwell Peltier is a French teacher at Saint Paul Central High School in the Saint Paul, Minnesota. She has been in education for 35 years. 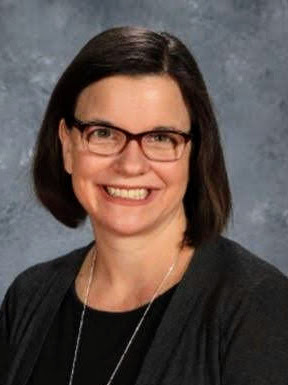 She began teaching in a small community in southern Minnesota where she was responsible for developing a French International Baccalaureate (IB) program, and throughout most of her career, has continued developing IB curriculum to meet the ever-changing needs of her students. She has taught at the elementary, middle and high school levels, in public and private settings, in rural and urban communities, domestically and internationally. Currently, her interests are twofold; first, the promotion of early language programs (either immersion, dual language or FLES) so that a higher level of language and cultural fluency may be achieved by the end of high school and, secondly, program development, especially high school French immersion education. In her current position at Central High School, she has designed and implemented a two-tiered, overlapping French language pathway for immersion and traditional language learners. It includes IB Language A courses (for native/academic speakers of the language), Advanced Topics in French thematic courses, and traditional upper level IB language courses. Maureen was a Fulbright Exchange teacher in Belgium and was Minnesota’s French Teacher of the Year in 2002. She holds an Administrative Licensure (K-12 Principal), a Certificate in Staff Development, a Master of Education in Curriculum and Instruction (Second Language and Cultures – French) and B.A.’s in French and in International Relations, all granted from the University of Minnesota. Dr. Anita Alkhas is an associate professor of French at the University of Wisconsin-Milwaukee where she teaches all levels of language, literature and culture, and pedagogy. She coordinates outreach activities including a French Day for middle and high school students, a 10-day festival of films in French, and an international dessert competition. 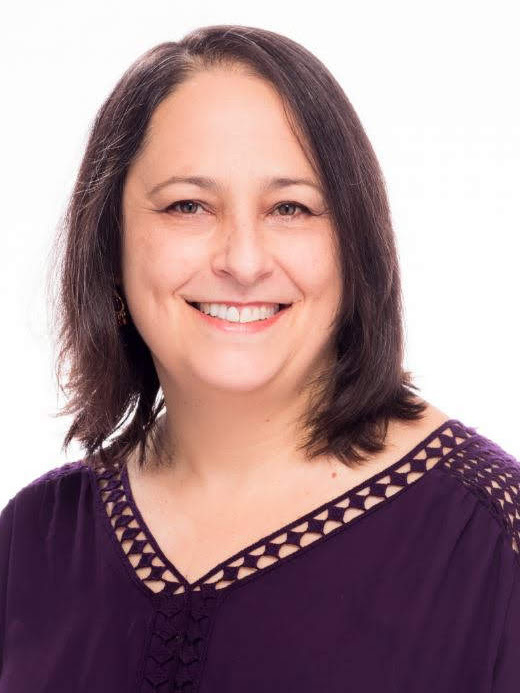 Anita served as professional development chair of the Wisconsin Association for Language Teachers (WAFLT) and is a planning committee member for Wisconsin's FLESFEST conference. She presents regularly at state, regional, and national conferences such as WAFLT, MMLA, AATF, and ACTFL. Among her research interests are French and francophone literature, the creative process, self-directed and multiple language learning, standards-based pedagogy, and technology. Her recent publications include a co-authored self-study guide Learning French from Spanish and Spanish from French (Georgetown Press, 2017) and a 2018 translation into Italian of her dissertation on Baudelaire and Duchamp. She received her MA and Ph.D in French at Michigan State University and her BA in French, with minors in Spanish and Russian at the University of Pennsylvania. A heritage speaker of Farsi, she carves out time to maintain and hopefully improve her skills in the languages she has studied. This year, she would like to start a Polyglot Club in Milwaukee. Angela Gardner teaches Spanish and is the World Language and Business Department Chair at Ross High School in Hamilton, Ohio. She has been teaching levels ranging from I to AP, sponsoring Spanish Club, and a chapter of La Sociedad Honoraria Hispánica for over 14 years. Gardner has successfully inspired her students to publish work, including advocacy pieces, in La Jornada Latina and Albricias. In addition to teaching and leading her department, Angela serves as a mentor teacher in her district and a cooperating teacher for prospective language teachers. In research and in the profession, Angela’s interests encompass teacher recruitment and training, practical classroom strategies to support proficiency at all levels, advocacy for language programs, and learner motivation. Her work has been published in The CSCTFL Report and in The Language Educator, among others. Angela is a dynamic and sought-after presenter, and has presented at OFLA, CSCTFL, and ACTFL conferences and conventions. Her presentation “Interpretive Mode? I think you mean BEAST mode!” is this year’s Best of Ohio session. Gardner is an AAPPL Rater and Quality Assurance Advisor, serves as the Ohio Foreign Language Association Public Relations and Advocacy Chair, is a Certified Oral Proficiency Interview Tester and Rater, and is the Past President of the Ohio Buckeye Chapter of the American Association of Teachers of Spanish and Portuguese. Angela’s classroom activities are frequently featured in local news outlets, including The Cincinnati Enquirer. She holds a B.A. in Modern Languages-Spanish from Longwood University, and an M.A. in Teaching from Grand Canyon University. As the Ohio World Language Teacher of the Year, Angela seeks to celebrate the outcomes of language and culture learning, to elevate the status of the language teaching profession at all levels, and to advocate for the retention and expansion of language programs. Erin Gibbons has been a French teacher for thirteen years, currently at Barrington High School in Barrington, Illinois. Prior to Barrington, Erin taught at Richmond-Burton Community High School in Richmond, Illinois. She has traveled with students to France and Québec, led trips to the Aventure Française immersion camp, and sponsored French Club activities, including a soirée d’immersion (immersion night). She is an active leader in the AATF, serving on the Executive Council for the Chicago/N. Illinois chapter for nearly a decade, currently as secretary. Erin is also the creator and coordinator of the AATF Chicago/N. Illinois Concours Oral “Champions d’expression,” a French forensics competition held each year in April. 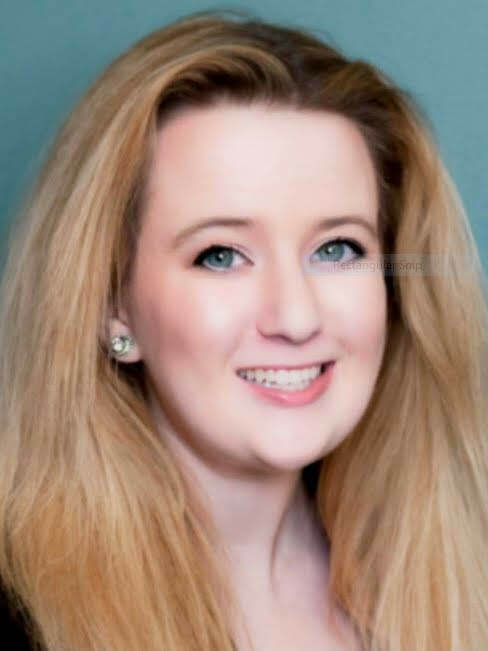 She has presented at AATF Chapter workshops, the national AATF Convention, the ICTFL Fall Conference, and at CSCTFL as “Best of Illinois.” Erin was a recipient of a fellowship from the French Embassy in 2014 to study at the CAVILAM language school in Vichy, France. Her areas of professional interest include blended learning, standards-based curriculum and instruction, strategies to provide input and feedback to students, and teaching with a growth mindset. She is currently co-authoring the Level 2 resource of the EntreCultures series from Wayside Publishing (for publication later this year). She holds a B.A. in French from Saint Norbert College and a M.A. in Curriculum & Instruction from Concordia University Chicago. Erin looks forward to continuing to innovate and collaborate so that languages are accessible to all students and high-quality professional development is accessible to all teachers. In her personal life, Erin enjoys knitting, volunteering at her church, and speaking and reading in French with her six-month-old niece. Louisa LaGrotto is a Spanish teacher at North Central High School in MSD Washington Township in Indianapolis, Indiana. Louisa has been teaching Spanish since 1990. She began her career in MSDWT in 1994, and taught Spanish to 6th, 7th and 8th graders at Westlane Middle School for twenty-two years. Louisa is currently in her third year at North Central High School teaching Spanish Third-Year Honors and Spanish Second Year. While Louisa’s number one priority is the educational welfare of her students, she also cares deeply about working with colleagues on curriculum planning, learning through inquiry, classroom management to develop harmonious classroom communities and encouraging her colleagues to become more involved in their language associations. Through her involvement with American Association of Teachers of Spanish & Portuguese (AATSP,) Indiana Foreign Language Teachers Association (IFLTA) & the Central States Conference on the Teaching of Foreign Languages, Louisa has presented on these topics at their conferences for the last three decades. In 2005, Louisa was named the 2006 Indiana Teacher of the Year by Superintendent of Public Instruction, Dr. Suellen Reed. 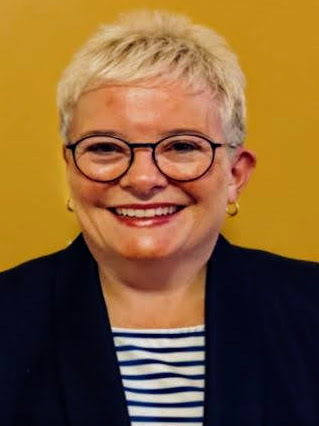 In 2006-2007, Louisa accepted a sabbatical position at the Indiana Department of Education to advance the promotion of world language programs in Indiana schools. Louisa served on a variety projects including: making presentations on world language instruction, classroom management, student engagement and professional motivation; helping revise Indiana’s standards for world languages at three levels of entry [K-12, 6-12 & 9-12]; and collaborating with the World Language Consultant and the Director of International Education. In the past decade, MSD Washington Township has become a fully authorized International Baccalaureate World School K-12 district. Louisa is a master teacher in curriculum planning of the Middle Years Program of IB in grades 6-10. She serves on her school’s MYP Committee and attends annual IB-MYP professional development training offered by her district to further advance the world language curriculum at the secondary level. Louisa holds a BA in Spanish Literature & a minor in Telecommunications and a MAT in Spanish & Education both earned at Indiana University in Bloomington, IN. Alyssa Marcangelo is the French Specialist at Detroit Country Day Lower School in Bloomfield Hills, MI, where she has taught students in preschool through second grade for the past seven years. Alyssa strives to incorporate creative, engaging methods into her teaching to inspire a love of language learning and sense of global curiosity and understanding within her students. She immerses her classes in the French language and culture through project based learning, art, music, games, cooking, dramatic play, technology and virtual reality. Her innovative Google Earth cultural scavenger hunt lessons were published in the book Teaching First, Technology Second : The Educator’s Guide to Designing Authentic Lessons. Alyssa presents regularly at virtual, local, and regional conferences, such as the Michigan World Language Association (MIWLA), the Association of Independent Michigan Schools (AIMS), the Independent School Association of the Central States (ISACS), and the Michigan Association for Computer Users in Learning (MACUL). During these presentations, Alyssa shares how to create meaningful virtual field trip experiences, along with different successful strategies she uses to engage language learners of all ages in the target language, and shares tools and activities teachers in any subject area may use to promote global competency in their classrooms. She has also worked with undergraduate and graduate level classes at the University of Michigan on how to meaningfully incorporate virtual reality into curriculum across grade levels and content areas. 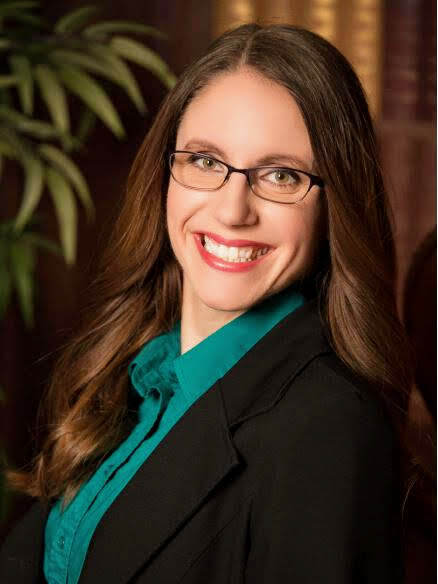 In addition to her teaching responsibilities, Alyssa serves on the Curriculum Leadership Council at Detroit Country Day School, as well as the Teacher Service Committee for the Association of Independent Michigan Schools. Alyssa holds a Bachelor of Science Degree in Education from Miami University, where she graduated with University Honors with Distinction in 2012. 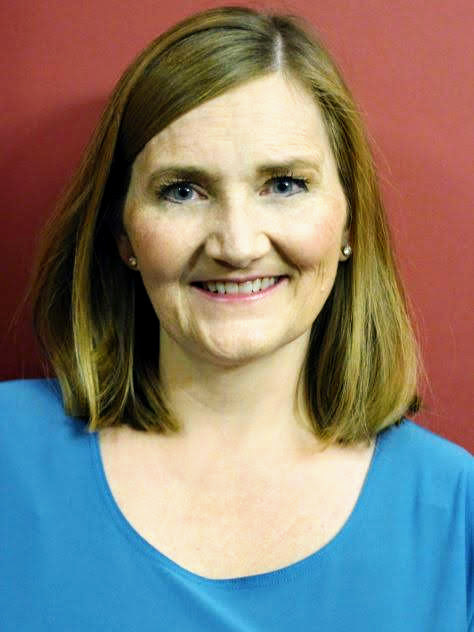 Hope McPheeters is the French Teacher and World Language Department Chairperson at Park Hill High School in the Park Hill School District, Kansas City, MO. She is in her 16th year of teaching French and has taught in several districts across Missouri. She is currently teaching French 1-5AP. Hope received her BS of Education with a certification in French K-12 from the University of Missouri- Columbia and her Master of Education and Innovation from Webster University. She loves teaching French using comprehensible-input strategies and tries to make learning French as fun and engaging as possible. She presents regularly at the Foreign Language Association of Missouri (FLAM) annual conferences and served as the Conference Chairperson for FLAM between the years 2012-2015. She planned the first annual Kansas World Language Association/FLAM conference in 2012 and is currently serving as the FLAM Social Media/Communications Chairperson. She leads professional development weekly with the World Language Department, helping guide AVID strategies and teaching grammar as a concept, comprehensible-input strategies, and leading language with culture into the world language classroom. Her goal for next year is to bring the Seal of Biliteracy to Park Hill School District. She advocates for all children in and out of the classroom, but especially for those with autism and special needs as she has two children with autism of her own. Dr. Julie A. Sellers, a specialist in second language acquisition and in Latin American popular culture and identity, is an Associate Professor (Spanish) at Benedictine College. Julie has worked as a post-secondary Spanish educator for 20 years. Prior to coming to Benedictine in 2013, she taught at Fairmont State University, Laramie County Community College, and the University of Wyoming. She served for two years as the Wyoming Department of Education’s Foreign Language Content and Training Specialist, working closely with K-12 world language educators on standards-based teaching. As a world language educator, Julie’s priorities are to foster a love for learning languages and about world cultures in a communicative, inclusive setting. To this end, she promotes learning that engages students and values their previous experiences and individual talents and interests. Reflection and goal-setting support these goals at all levels. Julie has been recognized as an outstanding and innovative educator with teaching awards at her various institutions. 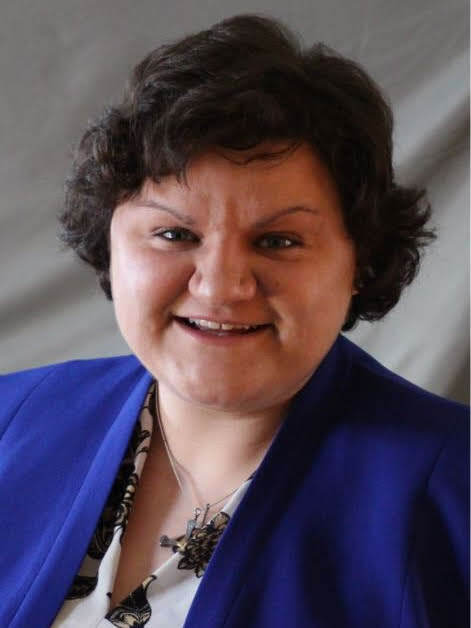 In addition to her work as an educator, Julie is a Federally Certified Court Interpreter (English<>Spanish), and she is certified in the states of Colorado, Nebraska, Missouri, and Pennsylvania (Master). Julie continues to interpret as her schedule allows. Julie has published three books on Dominican music and identity. Her most recent study, The Modern Bachateros: 27 Interviews, (2017) was recognized with the Kansas Authors Club’s 2018 It Looks Like A Million Award. 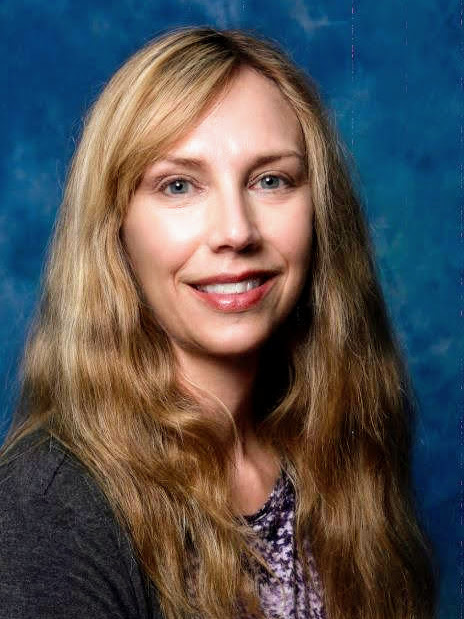 Julie has also published on language acquisition and interpreting skills and advocacy in a variety of publications, such as The Language Educator, Proteus, and The Wyoming Lawyer; she co-authored a textbook on interpreting and translation with Dr. Laura Kanost in 2018. Julie delivered a keynote address at the 2017 international conference, Música, Identidad y Cultura en el Caribe: Bachatas y cuerdas (Santiago, Dominican Republic), and was recognized as part of that conference’s Committee of Honor and as a Special Consultant. She is proud to represent her home state of Kansas and the profession of language education in each of these opportunities. 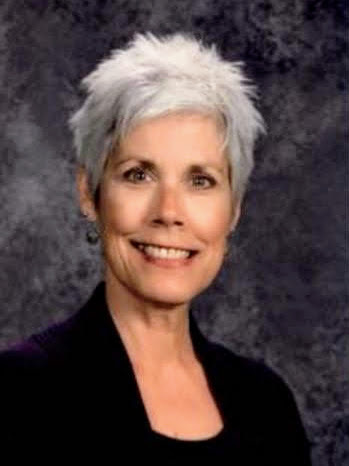 Terri Wright currently teaches French at Millard South High School and is an adjunct French professor at Metropolitan Community College in Omaha. She has taught for over 25 years at all levels from preschool to college and can find something to love at every stage (yes—even middle school). She is eclectic in the classroom, believing that a variety of methods help her connect with all of her students and ultimately create a more well-rounded student. The three guiding principles of relationships, relevance, and rigor are the foundation on which she builds each class. Terri loves to share ideas with colleagues through presentations at the local, regional and national levels. She was honored to present at CSCTFL as Best of Nebraska in 2017. Whether speaking to peers or singing karaoke, she loves an opportunity to use a microphone. She is the current treasurer of NAATF and of NILA. With a lot of help from area French teachers, family, and her students, Terri planned and hosted the biannual State French Convention in 2016 and 2018. She has taken students to Europe three times and loves traveling and exploring. Terri was chosen by her peers as the NILA World Educator of the year in 2017. Terri has 7 children ranging in age from 11 to 27 and loves to spend time with her husband and family. She has a busy household with 3 children still at home, 2 dogs and 3 cats. Her husband accuses her of replacing children with pets (particularly cats) as they leave. (Maybe…?) She has recently taken up acting at murder mystery dinners on the weekends and is extremely excited to become a Grandma for the first time in April of 2019.